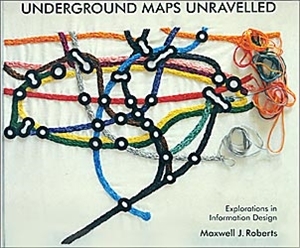 Underground Maps Unravelled: Explorations in Information Design by Maxwell J. Roberts is much more than a book about diagrams of subway, metro or urban railway networks; it deals with the very essence of successful graphic design, expressed as an interaction between the information which needs to be conveyed and the visual discipline required to achieve the best impact. The book gives an in-depth analysis of how schematic maps assist the user, when they fail and why, and explores how traditional designs can be adapted as these networks expand. If this sounds dry and too technical, the book certainly isn’t, with its imaginative exploration of transport diagrams from various cities worldwide. 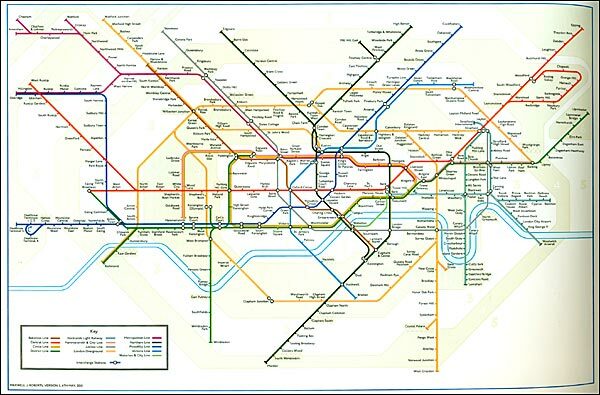 Our sample shows one of the alternative designs by the author examining if the current version of London’s iconic tube map can be improved. Self-published by its author, the book is lavishly illustrated and will appeal to anyone interested not only in design or transport maps, but also in how we ourselves react to the presentation of what for many of us is something we encounter everyday in our travels.